A civic leader and long-time teacher at Snead College and Marshall County High School, Robbie Alice Stephens Townson died on February 5, 2019. Robbie Townson was born on August 16, 1936 and lived in Marshall County and Guntersville all her life. Robbie completed high school in 1953 and that summer she was selected Miss Guntersville Lake, one of the first recipients in that long tradition. She graduated from Auburn University followed by receiving her master’s degree at Mercer University. She began teaching at M.C.H.S. in 1958 then later at Snead State Junior College, until her retirement in 1988, from a long career in higher education. She began participating in numerous civic projects including contributing to the Senior Center and Guntersville Heritage Committee. In 2003, she received the Guntersville Citizen of the Year Award. Robbie was a leader in the literary life of the community and she was frequently asked to speak at literary study clubs as well as civic clubs in Marshall County. She also arranged for published authors to visit Marshall County, especially on Snead’s campus. 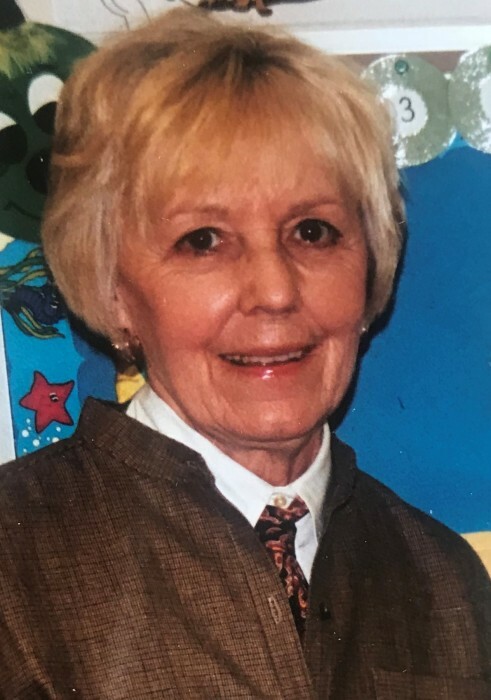 Tennis and Broadway plays were two of her favorite activities along with teaching many Sunday School classes at The First United Methodist Church of Guntersville. Mrs. Townson is survived by her husband, James Townson of Guntersville; one son Rob (Martha) Smith of Birmingham; two granddaughters Brownlee and Julia Smith of Birmingham. She was preceded in death by her parents Robert and Verna Stephens. Visitation will be Friday, February 8, 2019 from 2:00 to 3:00 at First United Methodist Church of Guntersville followed by the service starting at 3:00. The family suggests donations to Marshall County Hospice-Shepherd’s Cove.